What’s more fun than a weekend getaway with the girls? Not much — except maybe a girls’ weekend that leaves you feeling truly rejuvenated. Between eating meals out and disrupting the usual routine, it’s easy to finish a vacation feeling like you need another vacation. But, health-conscious, active women are in luck. Los Angeles has plenty to offer in the way of fun outdoor adventures, healthy activities, and chic dining. Read on for the ultimate gal-pal getaway in Los Angeles. Your getaway starts by checking into the Sofitel Los Angeles at Beverly Hills, featuring elegant luxury accommodations and dramatic décor with an ambiance that combines French style and Hollywood glamour. 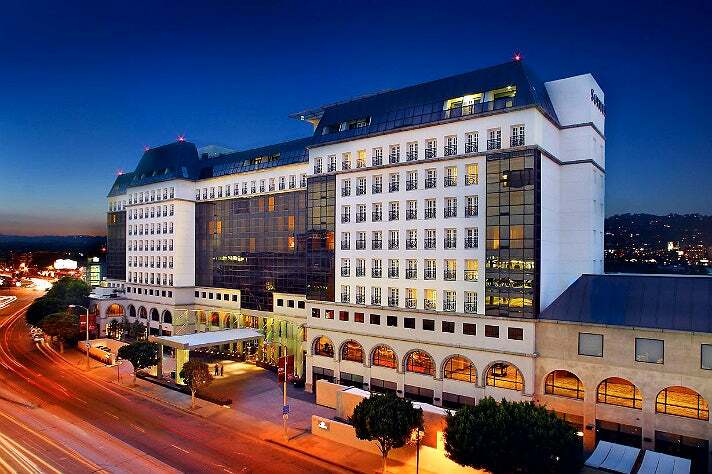 Located at the corner of La Cienega and Beverly Boulevard, the hotel is conveniently located opposite the Beverly Center, situated between West Hollywood and Beverly Hills. Breakfast is the most important meal of the day — especially when you’ve got adventure on the agenda. 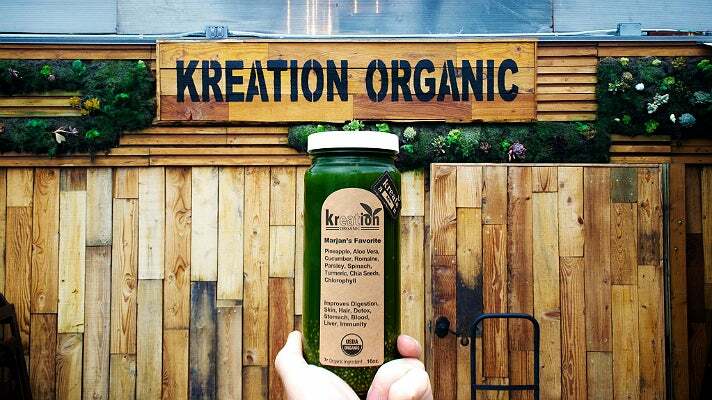 Start your weekend off right with a cold-pressed Kreation Juice made from certified organic, locally sourced fruits and veggies. Stop at one of nine juicery locations or three “kafes” and get all the nutrition you need for your day’s adventures in one drink. 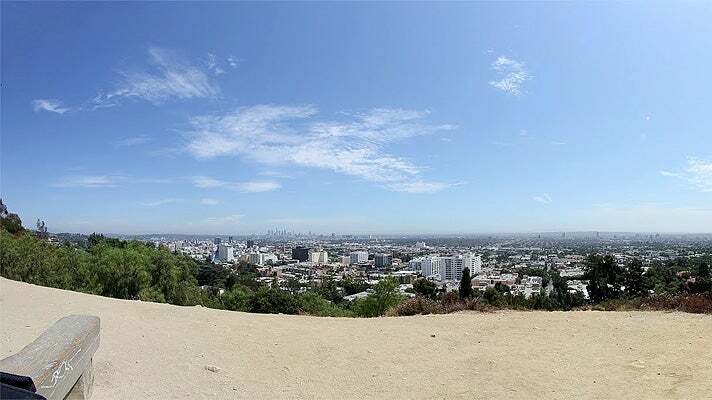 Whether you like to get your heart rate up with a brisk hike or a killer spin class — or just about anything in between — there’s no shortage of ways to be active in L.A. Work off that vegan Bloody Mary by hiking Runyon Canyon, consistently ranked among the best hiking spots in L.A. Hikes here range from less than two miles to 3.25 miles — all have a few hundred lung-busting feet of vert and jaw-dropping views of L.A., including the iconic Hollywood Sign. Best of all, you can take a break at Inspiration Point to catch your breath and soak in the views. After the hike, get your caffeine fix at Dog Cafe, where dogs are available to snuggle and play as you sip coffee and catch up with friends. Be warned, though: all pooches are up for adoption, so you might just leave with a furry friend. Stretch out your legs from the morning hike and kick the afternoon lazies to the curb when you sign up for a spin session at SoulCycle. 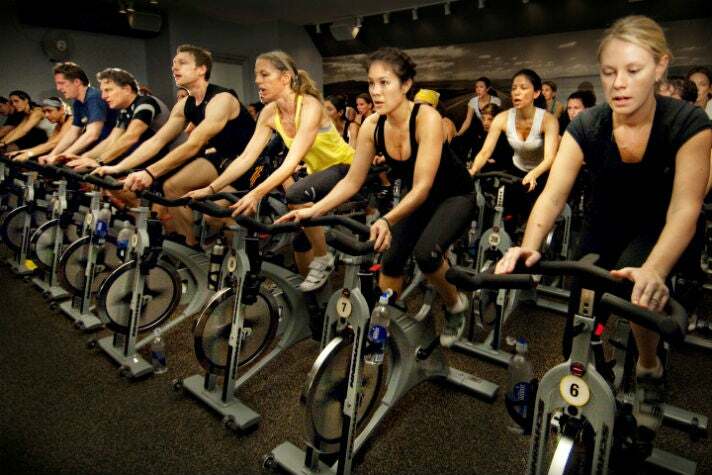 With inspiring instructors, get-up-and-dance music, and an inclusive community, SoulCycle is hands-down the best spot to get a phenomenal cardio workout in L.A. SoulCycle offers classes daily, and, unlike many spin workouts, sessions include hand weights and core work. Before dinner, indulge in a decadent afternoon snack at Petrossian West Hollywood. Caviar is at the heart of this stylish restaurant and boutique. 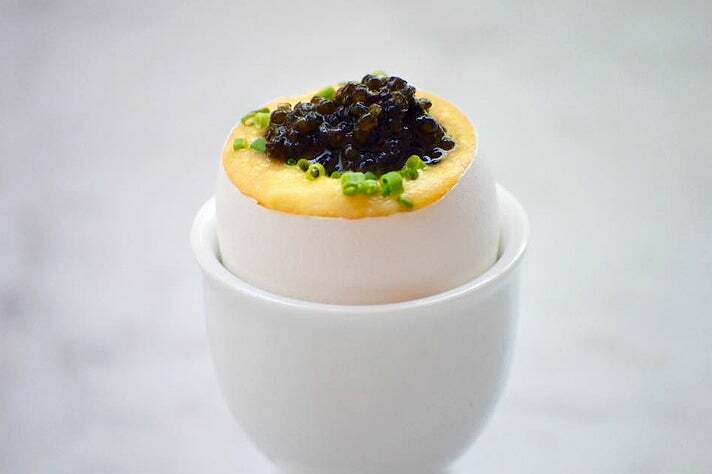 Sip on bubbly and nosh on the signature Egg Royale - an eggshell is filled with soft scrambled egg and topped with vodka whipped cream and caviar. But don't get too full, dinner is still to come! 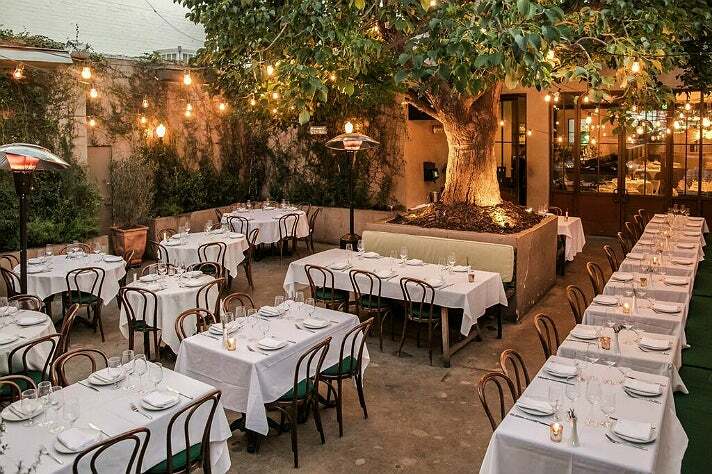 Head to the upscale neighborhood of Brentwood for dinner at Tavern, whose airy dining room allows guests to take advantage of L.A.’s characteristically balmy weather. 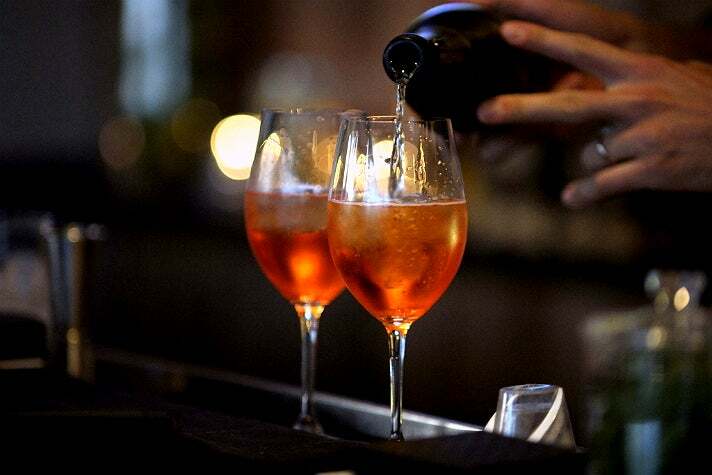 Start with delicious, one-of-a-kind cocktails or artisanal wines selected by award-winning sommelier, Caroline Styne. Dishes from Tavern’s James Beard Award-winning chef, Suzanne Goin, include grilled arctic char, beef short ribs, and burgers that are guaranteed to fill your grumbling belly - but don’t worry, you burned so many calories today, you can eat anything you want! Enjoy a nightcap at Bar Toscana, an intimate cocktail lounge located across from Tavern on San Vicente Boulevard. The Italian focused menu features classics like the Negroni and Aperol Spritz, as well as signature drinks like the Pearbellini (Grey Goose e Poire, St. Germain, muddled fresh pear,fresh lime juice, Peychaud’s Bitters) and the Toscarita, a tangy fusion of Chinaco Blanco Tequila, Orangecello Liqueur and fresh lime juice that's topped with Grand Marnier-blood orange foam and Sicilian orange dry peel sea salt. Cin cin! You had a busy day yesterday with a quick and early start, so why not kick back and relax a little on Day Two. In lieu of a juice-on-the-go, enjoy a longer brunch at Hugo’s, whose menu — one of the most extensive brunch menus in L.A. — caters to both vegan and gluten-free diets. The restaurant’s no-fuss atmosphere is the icing on the cake. 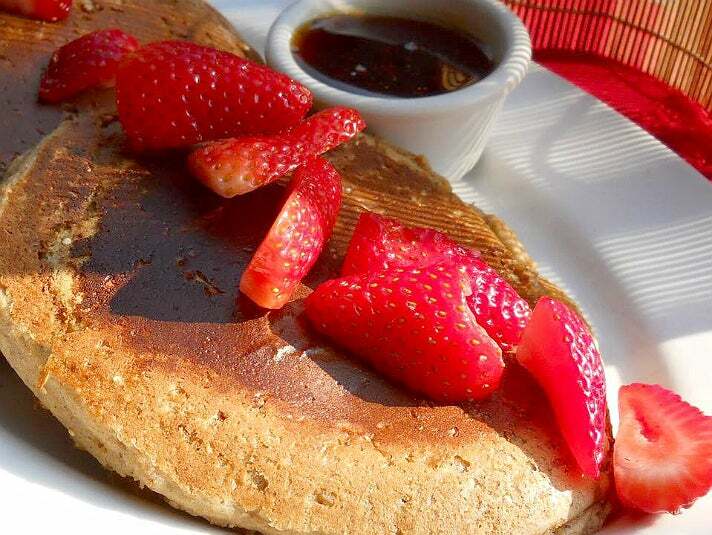 With menu items like almond energy pancakes and the veggie-heavy breakfast salad, there’s something for everyone at Hugo’s. And, the dishes here are guaranteed to give you the extra oomph you need to get out for some more adventure. 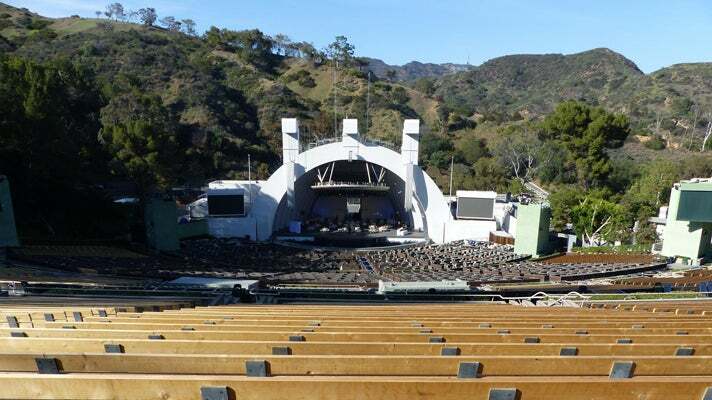 One of L.A.’s most popular concert venues is also a great workout. With 168 steps from top to bottom, the Hollywood Bowl is the perfect spot to get the girls together and work up a sweat. The Bowl is open seven days a week, generally from sunrise to sunset, unless there’s a concert scheduled. When you've finished running stairs, be sure to stop into Local and refuel with one of their locally sourced, organic dishes such as chilaquiles — scrambled eggs with crushed tortilla chips in a house sauce — omelettes, salads, or smoothies. You can grab a mimosa too if you’re feeling it. No adventurous weekend in L.A. is complete without taking to the water at some point. Catch some waves at one of many spots along the city’s coastline. Wavehuggers is one of L.A.’s preeminent surf schools where you can take a 2-hour lesson from an experienced professional — perfect for beginners as well as experienced surfers looking to up their game. All the gear you need in provided in the lesson, so you don’t need to worry about that. What better way to end your outdoor L.A. workout weekend than paddling out and trying something new? After freshening up at the hotel, head a few blocks east for dinner at The Ponte. 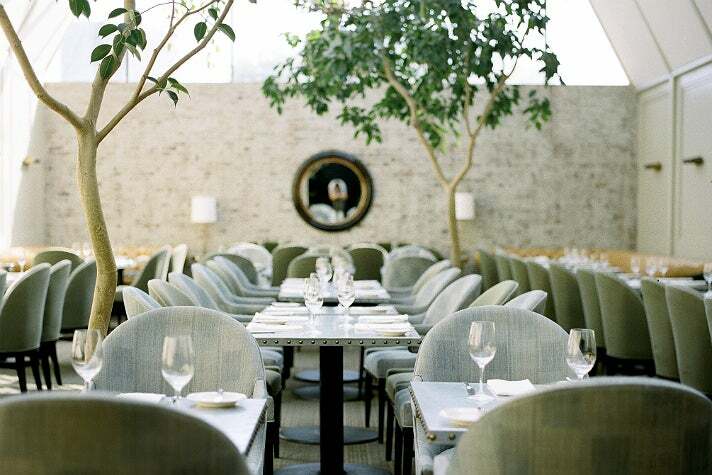 A collaboration between James Beard Award-winning chef Scott Conant and restaurateur Stephane Bombet, The Ponte is a contemporary Italian restaurant with a lively dinner party vibe and a lovely garden patio. 8 p.m: E.P. & L.P. 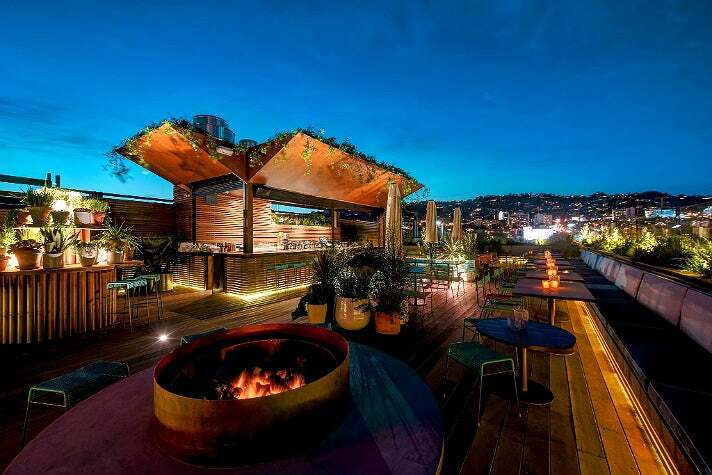 Finish your girls weekend getaway with a drink on the rooftop bar at E.P. & L.P., located on La Cienega just minutes from Terrine. Enjoy breathtaking views of the Hollywood Hills while you sip a craft cocktail under string lights. If you still have room to indulge your sweet tooth, nibble on the soy caramel popcorn – the perfect complement to any drink.